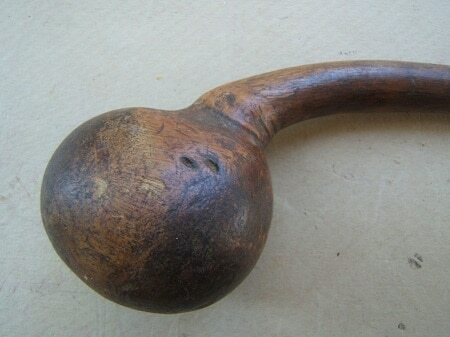 A FINE & ORIGINAL MID 18th CENTURY FRENCH & INDIAN WAR PERIOD SENECA WAR CLUB/DEATH HAMMER, ca. 1750: In overall fine untouched “attic” condition with fine, deeply aged and oxidized smooth, light colored, hardwood (maple) surfaces. 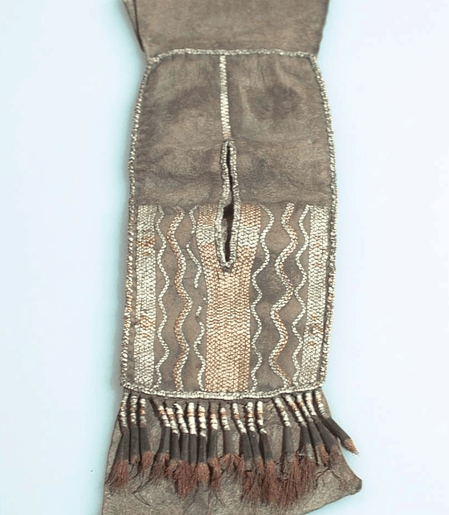 Of early, hand-carved, Seneca Indian make with evident tool-marks and “hand-wear”, at its grip and base. Of single piece hardwood/maple? construction with an integral root-burl knob and shaft with a fine hand-burnished finish. The tapered handle with a carved grip-section and a rounded bottom finial. 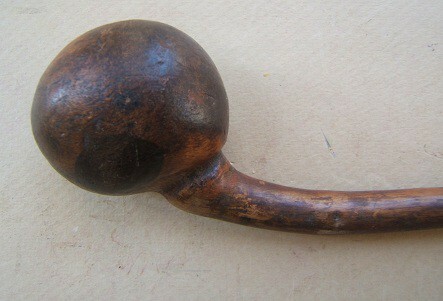 Knob-type club head with finely carved smooth surfaces, some minor handling marks and signs of use/wear and staining. Of typical mid-18th century form and in overall fine untouched condition with sharp contours, smooth surfaces and some expected minor handling marks/wear. 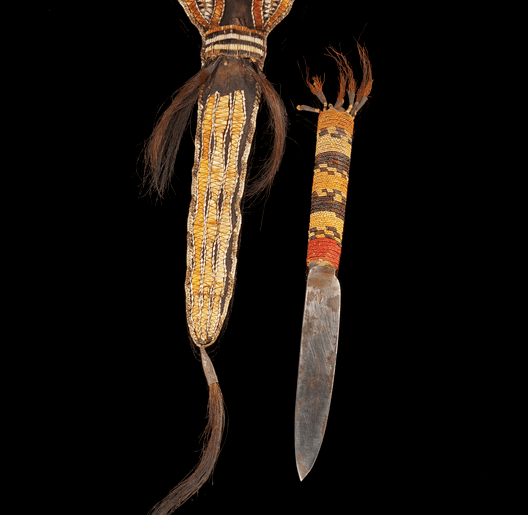 A rare an authentic example of a mid-18th century French & Indian War Period Seneca War Club, ca. 1750. Purported by the consignor to have been part of an old New York Collection. Overall length, 20 1/2″.